Many have heard the saying “with age comes wisdom.” In the dental realm, it is “with age comes wisdom teeth.” As a patient ages, it is guaranteed that they will at some point gain their wisdom teeth. For some, this causes no issues and their dental health is never affected, but for others, the growth of their wisdom teeth can cause a serious alteration in the appearance of their smile. When wisdom teeth grow correctly, they greatly aid in chewing. However, if they grow incorrectly, it can lead to a variety of oral complications for dental patients. Wisdom teeth that grow incorrectly can cause food to become trapped below the gum line and cause bacteria to grow. Improperly placed wisdom teeth can make it difficult to floss between molars allowing tarter to build up and plaque to form. Partially grown wisdom teeth can create the perfect place for bacteria to form under the gumline and cause infection. There are other adverse effects of incorrect growth of wisdom teeth, but all of the side effects can be prevented through wisdom teeth removal. To determine if removing a patient’s wisdom teeth is the best treatment option, our dentist will evaluate how the wisdom teeth are growing through x-rays and examining the patient’s mouth. Most candidates for wisdom teeth removal have evidence of pain, infection, gum disease, or tooth decay due to abnormal growth of their wisdom teeth. The dentist may also recommend wisdom teeth removal as part of the treatment for braces or other dental care. Ultimately, wisdom teeth removal is recommended to improve a patient’s oral health that would otherwise deteriorate if the teeth were left inside the mouth. 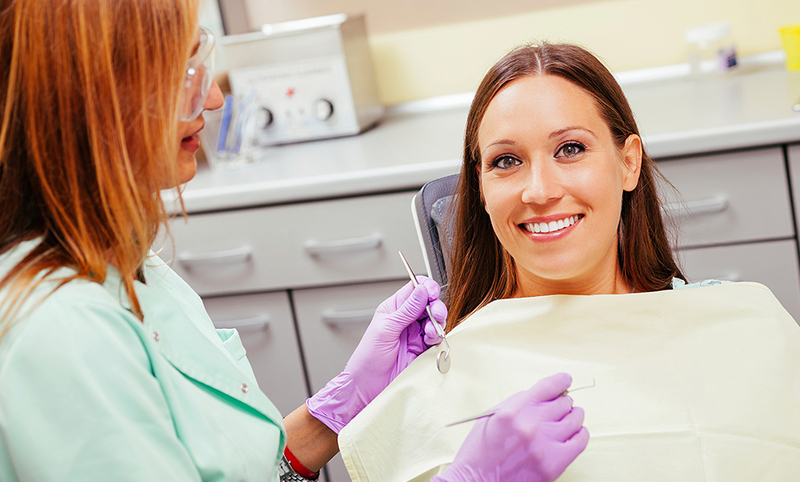 The process for wisdom teeth removal is simple and usually performed within one visit. Often, all four wisdom teeth are removed to guarantee the success of the procedure for the future oral health of the patient. The recovery process varies for each patient, but most find they are almost entirely back to normal within a few weeks of the procedure. If patients experience any unusual discomfort or swelling during or after the recovery process, it is vital for them to contact their dentist for immediate attention. If you would like to learn more about your wisdom teeth removal options in Beverly Hills and Los Angeles, please call our office to schedule a consultation to get started.